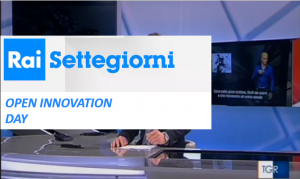 On September 25, 2018, the 10th SMPTE seminar on Emerging Technologies was held at the Mediaset TV Production Center in Milan, with the aim of discussing and addressing their development and their introduction into the broadcast world . In particular, the issues dealt with are three: the future use of UHD, the advent of 5G and the new IP technologies. Teche Rai and CRITS win the Excellence in Media Management award at the World Conference on Archives, organized by FIAT / IFTA in Venice. 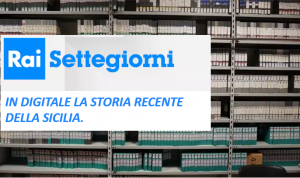 The winning solution of the award consists in a process for the identification and association of the raw materials of the RAI Teche archive to the programs of the Multimedia Catalog based on a visual search technology. The Centre for Research, Technology Innovation and Experimentation of Rai has organized a workshop between innovative companies and startups. The aim was to increase the awareness of areas of corporate interest and to create a network of stakeholders who contribute to innovation in the media sector. Some months after its approval ISO/IEC has eventually released the second edition of the Media Contract Ontology of MPEG-21. The first edition was released in 2013, followed by a Corrigendum in 2015. This standard, which uses the Web Ontology Language (OWL), such as Contract Expression Language uses XML, was developed in MPEG-21 with the contribution of RAI’s Centre for Research and Technological Innovation. This is a format that allows you to define machine readable contracts on the rights to exploit audiovisual content and is used within the new RAI rights management system. The annual metadata workshop took place in Geneva at the headquarters of the European Broadcasting Union (EBU-UER). The Centre for Research and Technological Innovation participated by presenting a demonstration of an evaluation framework for Cloud-based Artificial Intelligence serivices, and the work being developed as part of the H2020 MULTIDRONE funded project. The 9th of last March, the Kick Off meeting of AutiTec Project: Technological Solutions For Autism took place at the headquarter of the project partner Regional Cluster Foundation Lombrado Technologies for living Environments, located in the Lecco Chamber of Commerce, founding member of TAV Foundation. The Radio Group of the EBU Strategic Programme, co-chaired by Rai Research Centre, has updated the guidelines for Digital Radio Deployment in Europe, included in the EBU R138 recommendation. WiB (Wideband Reuse-1 Broadcasting) is a new system concept for DTT where potentially all frequencies within the Ultra High Frequency (UHF) band are used on all transmitter sites (i.e. reuse-1). More pixels or best quality pixels? The problems of a higher resolution signal against an improved quality signal. 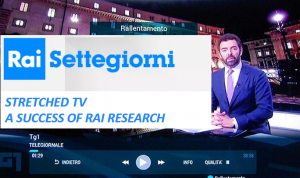 The challenges of Rai and Reserch Centre towards a high technical quality television. 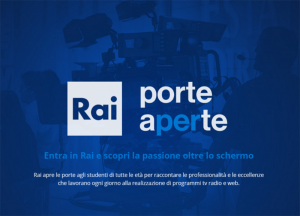 Rai is planning to extend DAB+ services to the most important Italian urban areas and to the motorways (including service continuity in tunnels). Radio service transmission inside tunnels requires methods such as the installation of radiating cables (“leaky-feeders”) along the tunnel ceiling. 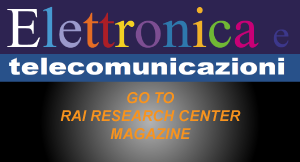 This approach is costly, thus leading RAI Research Center to investigate the feasibility of an alternative approach using direct RF irradiation by means of antennas positioned outside the tunnels (not far from the entrance) or internally. In the modern digital age, a big challenge lies in the ability of collecting, connecting, analysing and presenting heterogeneous content streams, accessible through different sources, and published through different media modalities. At this purpose, the project is aiming at identifying an end-to-end workflow for data driven journalism. The RAI internal project for the digitisation of archive audiovisual material currently stored on physical legacy carriers. It aims at the preservation of RAI contents produced and communicated to the public till present day. The Centre for Research and Technological Innovation is involved together with other RAI departments, namely Teche, ICT, and Produzione-TV. 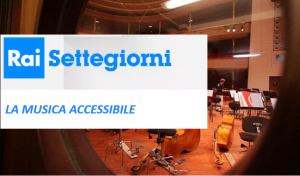 At the Rai Museum of Radio and Television in Turin will be held the presentation of the new accessible exhibition path made with the active collaboration of the Research Centre. Meeting on the "Violence in intimate relationships"
On Wednesday 16th May 2018, at the Luigi Einaudi Campus in Turin, a conference will be held to discuss on the violence against women, to deconstruct false myths about its justification and to construct common languages and actions to deal with it. The fifth edition of Faber, organized by SocialTech, in collaboration with Impact Hub Torino, with the support of CCIAA Torino and the Compagnia di San Paolo and the sponsorship of the Municipality of Turin, will start on March 28th 2018. Recently the RAI Research and Technological Innovation Center and the Department of Cultures, Politics and Society of the University of Turin have signed a collaboration agreement in order to pursue a study and research activity on the issue of femicide. As part of the MILAN IOTHINGS 2018 conference to be held in Milan on 10 and 11 April 2018 (http://www.iothingsmilan.com/) and in collaboration with the 5GCity project (http://5gcity.eu) RAI will participate in the session 5G ITALIA with a presentation titled “5G, City and New Media Services”. Meeting of the project funded by the European Community “5GCity” which will be attended by the Italian partners of the consortium.